Is it all over for dedicated GPS devices? When TomTom announced an 83 per cent fall in earnings during its Q1 2008 results last week, it wasn’t long before some analysts began to predict the imminent death of the dedicated satnav market as we know it. Some naysayers have even predicted that stick-in satnav devices are headed for the same gadget graveyard as the humble pocket calculator, to ultimately end up as little more than "low-margin commodity products". If that is the case then what exactly has gone so very wrong for the market? After all, last year the industry enjoyed a 300 per cent year-on-year increase in sales from 11.9 million sales in 2006 to 33.9 million by the end of 2007. One factor which routinely crops up is the rising popularity of GPS-enabled mobile phones. 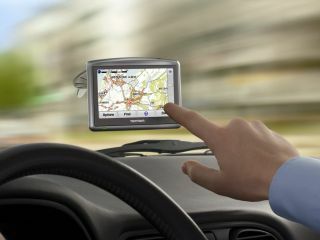 Gartner research estimates that by 2010 sales of GPS phones will hit 500 million compared to 90 million dedicated satnav devices. Of course, given that the vast majority of mobile phones employ smaller screens and are generally trickier to operate than their dedicated stick-in cousins, it could well be argued that navigation by mobile phone will prove to be of more benefit to those travelling by foot rather than fast-moving vehicle, especially in urban areas. Indeed, as the Guardian’s Jack Schofield points out the real threat for TomTom, Garmin and all the other major satnav players will be when car manufacturers decide to install built-in satnav screens in their vehicles. When that happens, it’ll be interesting to see whether the car companies turn to the satnav companies to supply product and how far the satnav companies will be prepared to cut prices in order to win large-volume contracts.